The vital objective of this report is to analysis Customer Satisfaction of Trust Bank Limited. General objectives of this reports are to present an over view of Trust Bank, Trust Bank’s customers’ different queries and query frequencies regarding deposit, loans and other facilities, apprise major activities of Trust Bank, and know Trust Bank’s customers view on bank’s current operation quality and standards. Finally identify problems of Trust Bank in handling customer and to suggest ways of improving the service standard that accommodates a rapidly growing customer volume. Achievement of high economic growth is the basic principles of present economic policy. In achieving the objectives, the banking sector plays an important role. The banking sectors channel resources through deposit mobilization and providing credit for different business venture. The successful running of a bank business depends upon how effectively the credit management recovered the funds. Trust Bank Limited as new commercial banks in Bangladesh responsibility best upon it to ensure efficient and effective banking operation in a sound manner. Trust Bank Limited is always ready to maintain the highest quality services by upgrading Banking technology prudence in manage and applying high standard of business ethics through its established commitment and heritage. Objectives of a private institution like TBL are to maximize profit through optimum utilization of resources by providing best customer’s service. To gain practical job experiences and view the application of theoretical knowledge in the real life. 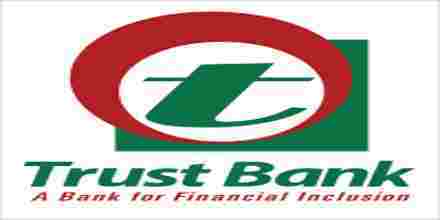 To present an over view of Trust Bank Limited. To know Trust Bank’s customers’ different queries and query frequencies regarding deposit , loans and other facilities..
To know Trust Bank’s customers view on bank’s current operation quality and standards. To identify problems of Trust Bank Ltd in handling customer. To suggest ways of improving the service standard that accommodates a rapidly growing customer volume. Trust Bank Ltd. (TBL) is a Private Commercial Bank that started its operation 10 years ago. They gained success from the very beginning of their operation and were capable enough to hold the success year after year. It gained success very early because of its very strong financial backup of the Army Welfare Trust. This bank is very much popular within the army community because all the financial activities of the army done by this bank. In recent days TBL is also gaining popularity in the general people and also in the business community. TBL is the scheduled commercial bank, which conducts its operation as per the rules and regulations of Bangladesh Bank. The bank obtained license from Bangladesh bank on 15th July, 1999 and started its operation from November, 1999. The Army Welfare Trust (AWT) is the main sponsor of the Bank, and it has already floated public shares in the capital market for its conversion into a public limited company. The Board is headed by the chief of army staff, Bangladesh Army as Chairman. Besides, there are eight other in-service senior army officers of Army Head Quarters acting as the members of the Board. The Managing Director is also the member of the Board. In the year 2007 its Authorized Capital was Tk.200.00 Crore and Paid-up Capital was Tk. 116.67 crore only. At present the bank has 39 branches across the country and has plans to open more branches very soon. TBL aims at optimizing profit with a view to allowing good returns on the investor’s money. Within nine years of its operations the Bank has strengthened its capital base by increasing reserve and retained earnings. The Bank’s work force is composed of personnel having rich academic background with vast experience in banking. The Human Resources Division (HRD) means to create an environment by dynamic, enthusiastic and vigorous participation of all individuals. To make their personnel knowledgeable and truly professional they arrange training for them at Head office Training Academy of the Bank, BIBM and other institutions. The present image of the TBL is very important to the management and to its owners for their awareness in taking various decisions regarding the future action plans for its growth. The Management of the Bank are always change oriented as is evidenced by introduction of Trust Islamic Banking and ATM Cards. Since majority of the clients are religious minded and absence of Islamic banking system compel them to do traditional banking, therefore the very recent introduction of Islamic banking system has enhanced the image of the bank and at the same time can attract the new clients and will increase the customer volume which is important for bank’s profitability. With respect to ATM Cards and other technology-enabled services like Phone, Internet and SMS Banking services, TBL has been able to cater the banking requirement of today’s digital people where speed and accuracy are the important deciding factors. These have tremendous impact on the image and also on the profitability. Trust Bank open letter of credit for imports industrial and commercial goods and equipment’s against commission. Trust Bank participates in export business and earns commission and service charges. A bank starts its function providing service to the customers by its general banking activity. The efficiency of the general banking activity that provided by each branch reflects the whole service given by that bank. With the increasing competition customers are mostly impressed by the efficiency of this department. The whole general banking activity is consisted of receiving deposit, remitting fund and meeting the different need of the customers. It is one of the busiest departments. TBL Mirpur Branch has the full-fledged set up for general banking facilities. The relationship between banker and customer begins with the opening of an account by the customer. Opening of an account binds the Banker and customer into contractual relationship under the legal framework of the “Contract Act–1872”. But selection of customer for opening an account is very crucial for a Bank. In fact, fraud and forgery of all kinds start by opening account. So, the Trust Bank Ltd. takes highest caution in this regard. When an account is transferred from one branch to another, the account opening form etc. signed at the time of opening account and any forms or documents signed subsequently which are necessary for its proper conduct at the time of transfer, must be forwarded under cover of form, to the branch to which the account is transferred. Specimen signature card and standing instruction if any must also be transferred. No charge is taken on such transfer. The necessary information regarding the character, means and standing of the account holder and must be given to the receiving branch. Notice given by the customer himself. Order of the court / Injunction of the court. Draw amount form the A/C keeping Tk. 500 for saving and Tk. 900 for current A/C as closing charge. Cheque book or outstanding cheque leaf (if any) is destroyed. Customer is supplied with PO form. After filling the form the customer pays the money in cash or by cheque. The concerned officer than issues PO on its specific block. The officer then writes down the number of the PO block on the PO form. Two authorized officers sign the block. At the end customer is provided with the two parts of the block after signing on the black of the Bank’s part. Demand Draft is purchased when one person wants to pay money somebody who is living out of this area and bearing an account with another branch in this bank. For instance, a person is living in Dhaka. He wants to give some money another person of Chittagang who is bearing an account with the TBL. at Chittagang. But he does not want to pay in cash. In this case he may purchase a DD (A/C payee only) in favor of him. One of the two primary functions of a commercial bank is to extend credit to the deficit economic unit that comprises borrowers of all types. Bank credit is a catalyst of economic development. Without adequate finance, there can be no growth in the economy. Bank lending is important for the economy in the sense that it can simultaneously finance all of the sub-sectors of financial arena, which comprises agricultural, commercial and industrial activities of a nation. Therefore, a bank is supposed to distribute its loan able fund among economic agent-in-deficit in a manner that it will generate sufficient income for it and at the same time benefit the borrower to overcome his/her deficit. The granting of credit is one of the most important functions of a bank and the test of bank strength depends considerably on the quality of its credit and proportion they bear to the total deposit. Although receive from exchange, commission and banks charges contribute a fair amount of the profits or commercial bank, its earnings are chiefly derived from interest charged on loans and discounts. Credit may be made either of the personal security of the borrower or on the security of some tangible assets. The former is called unsecured or clean or personal credit and the latter is called secured credit. Confidence in the borrower is the basis of unsecured credit. The confidence is judged by three considerations: character, capacity and capital. Secured credit means loans and made on the security of tangible assets like land, building, machinery, goods and documents of title goods. Such loans provide absolute safety to a banker by creation of charge on the assets in favor of him. Lien is the right of a creditor to retain the properties belonging to the debtor until the debt due to him is repaid. Lien gives a person only a right to retain the possession of the goods and not the power to sell the goods. A banker’s lien is a general lien which tantamount to an implied pledge. The usual method of obtaining a title to goods offered as security is by way of pledge. Under section 172 of Contract Act 1872, pledge is defined as ‘a bailment of goods as security of payment of a debt or performance of a promise’ that is in case of pledge the possession of the goods‑ is delivered to the creditor i.e. the banker. It is therefore, regarded as the most secured type of advance. A mortgage is a method of creating charge on immovable properties like land and building. Section 58 of the Transfer of Property Act 1882, defines a mortgage as ‘the transfer of an interest in specific immovable property for the purpose of securing the payment of money advanced or to be advanced by way of loan, an existing or future debt, or the performance of an engagement which may give rise to pecuniary liability’. A mortgage can be affected only on immovable property. The mortgage of movable property for securing loan is called Hypothecation. In other words, in case of hypothecation, a charge over movable properties like goods, raw materials, and goods in progress is created. Hypothecation is only an extended idea of a pledge, the creditor permitting the debtor to retain the possession either on behalf of or in a trust for him. Set-off means the total or partial merging of a claim of one person against another in a counter claim by the latter against the former. It is in fact the combining of accounts between a debtor and a creditor so as to arrive at the net balance payable to one or the other. It is a right that accrues to the banker as result of the banker-customer relationship. Customer service is the set of behaviors that a business undertakes during its interaction with its customers. It can also refer to a specific person or desk which is set up to provide general assistance to customers. It refers to the satisfaction of customers in terms of how are they satisfied with the politeness, knowledge and promptness of employees in handling busy customers. It also takes into consideration the perception of the customers as to whether the product or service is worth what they are paying for it. Customers of Trust Bank Limited have a good perception about the quality of service provided by them. From our survey we found that customers are satisfied with the overall service of TBL . All the offers provided by TBL are very beneficial for the customers. But in case of service benefit is not the alone factor that determines the level of satisfaction. There are many other things that take control over the overall satisfaction. For instance, service having attractive offers may fail only because of rude behavior or carelessness of the provider. So it is very important to ensure other factors that are related with the success of the service. There are five major factors identified by the experts that are essential to assure the quality of better service that will lift the level of satisfaction. They are reliability, responsiveness, assurance, empathy and tangibles. These five factors determines the quality of interaction between customer and provider, the quality of Physical environment quality and out come quality of the service which leads the overall service to the position of excellence of quality. From our survey we found that how these factors affect their satisfaction level. It means ability to perform the promised service accurately. In case of banking reliability is very important. Because if the client pretends that the company is not able to continue its service proper in the future they will not interested to banking with PBL . From our survey we see that most of the customers chose PBL because they think it is reliable compare to others in case of providing various unique features (Bangladesh international). On the whole customers have a perception that PBL is capable to provide all the services they offered. It is another vital factor that controls customers’ perception about quality of service. It means willingness of the employees to help the customers. According to the perception of customers responsiveness is very important to increase the quality of the service. Even the customers ranked the importance of responsiveness in banking 7 out of 9. If employees do not response immediately to the need of the customers, valuable time of the customers will be spent unnecessarily. Even the customer may become frustrated whether he will get the service or not. The customers of PBL replied that PBL responses promptly. It means the knowledge and ability of the employees to develop trust in the mind of the clients about the completion of the task properly and on time. Customers have a great perception about PBL that they perform according to their promise. Assurance has a great impact on the quality of the service because if promises are not kept customers may switch to other bank. To ensure better service it is very important for the employees to have empathy. Empathy means giving individual attention and taking extra care of the customer. PBL has young and energetic employs that interact with customers nicely and they continuously ask about their satisfaction and dissatisfaction of every individual. Tangibles are very important factor because it directs the customer mind about the quality of the service. Tangibles are physical facilities, equipment etc used in the context of service company. Interior decoration, sitting arrangements, temperature of the room, cleanness odor everything controls the perception of customers about the quality of the service. PBL has confirmed well interior decoration in all there branches and they try keep the standard of there services cape same all over the world. They use all the elements Used in there company like chairs, carpet etc imported from Hong Kong and all of them are same for all branches. (Service qualities of banks are facing high competition. So it becomes very important to know why people choose Trust Bank LTD, Mirpur Branch, that is why I have developed a questionnaire to collect information from the customers about the service quality of different departments of TBL. For these, we need your opinion about the service of your bank. Why did you choose this bank? (f) If more than one, please those. What type of account you maintain with Trust? Where do you transact the most? Relationship with the Mirpur branch of TBL / Prime bank. Do you think the saving scheme of Trust Bank is reliable (your suggestion)? Which saving scheme would you prefer the most? If you need to choose credit scheme then what type of scheme would you prefer the most? Do you have to face any problem during the account opening process? Do you think the amount that is required to open an account is satisfactory? Problems according to your judgment can one face in opening an account? How do you find the Bank employee at the customer service desk? What do you think could be the reason behind the gap between you and the services? Finally, to ensure that we have all types opinions represented in our survey, we would like you to answer the following questions. ÿ Below – Tk. 10,000 ÿ Tk. 10,000 – Tk. 30,000 ÿ Tk. 30,000 – Tk. 50,000Tk. They need to maintain an upgraded guideline for the employees to avoid any kind of confusion. According to my observation, there is a lack of communication between the customers and the organization which they need to reduce for the betterment and they can easily do that by instructing the employees about how to communicate in a proper way. Although they are giving the world-class services and products, yet their charges are comparatively high then others and that is very much de-motivating for the customers. So they should consider this fact and can try to reduce it within their capacity. The interest rates for loans are also very high in TBL .but to sale more they should reduce this rate and thus they can make a higher profit. And in deposit sector their interest rate is poor always customer say that your rate is too poor than other bank. Though they have many classified savings , they introduce customer only two, so they should enhance their savings facilities by introducing many other saving schemes, because customers really look for various savings programs. To open any account in this bank, like savings, access or current account, the minimum amount which a customer must maintain is really high which does not match with the economic level of our country. So they must reduce this rate. They should specify some basic training course in some specified sector to make clear understanding about each employee’s job and for promotion of employees. There is a need to establish specific increment category for each level. Special increment should be given to middle and junior level managers and executives also to increase their motivation level. While ranking job or evaluate them to specify the range of comensation, they should consider the employee’s overall performance, rather than his designation, to make a better understanding on the evaluation process. There should be a scope for participate in decision making process of the organization within a fixed range. because according to my understanding it is one of the best way to encourage the employees to perform in a better way as they feel themselves as a permanent part or body of the organization. They need to increase the range of non-financial incentives like-secretarial assistance for senior level officers, option for casual dress up for clerical level once in a week, etc. They can motivate their employees with some special incentives like-children’s education facility, loan facility, compensation for short time disability, company products at subsidized price, paternity leave, etc. TBL has started its banking activities much earlier comparing to the other banks and due to that it has gained a lot of banking experience which has been proved very worthy for them. But that is a part of their job because our countries economic condition is yet to progress a lot. Time to time they are offering different attractive packages of program like various loan packages for particular economic group as doctors loan, businessman loan, household loan,etc.from the given charts and tables we can see the various range of their loans and other offers which remains on changing time to time. They also have adequate planning for compensation in various sectors like-they have a wide range of bonus- branch bonus, sales bonus as the percentage of individual performance, etc. they also have some special incentives for specified performance which is really encouraging for the employees. But at the same time they have some drawbacks like- they do focus mainly on financial incentives and benefits and not on non-financial ones. But it is not wise on their part. So they need to consider the non-financial incentives a little bit seriously for the customers as well as for the employees also. They also need to increase the range of attractive offers with the increasing business. Another thing is, according to my perception, they require a much prompt guideline to operate their activities. To summarize the whole situation, I would like to say that, this organization is giving a wonderful service to the people in general and of course for Army person of our country and at the same time they are also trying to educate our people about the world class banking procedures which is, according to my concept, a very worthy step and we should cooperate with them in this matter for our own benefit. The Trust Bank Ltd to manage the overall banking activities program and they will definitely progress with the modernization of business environment.